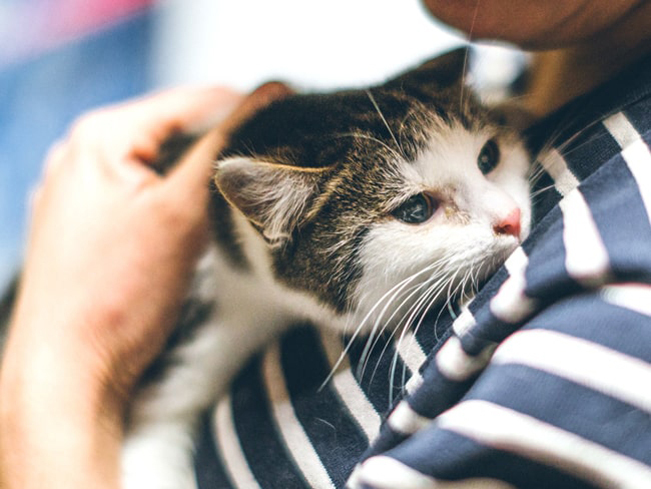 We partner with local adoption organizations to help connect pets in need with pet lovers just like you. Looking for the one? We work with local rescues & shelters to help you find adoptable pets in your area. PetSmart generously donates space in their stores to help adoptable pets find homes. With their help, two pets are adopted every minute a PetSmart store is open. pets are adopted each year thanks to nearly 4,000 adoption partners across North America. of adoptable dogs and cats at PetSmart stores are spayed or neutered to help prevent pet homelessness before it starts. Together, we've helped save over 8.5 million pets through adoption. Join us to keep the momentum going during PetSmart Charities National Adoption Weekend events at your local PetSmart store.